Inspired by vintage needlework, these images will lift your spirit as you color. With 25 illustrations, you have words of encouragement, love, family, friendship, faith, and aspiration surrounded by beautiful borders. 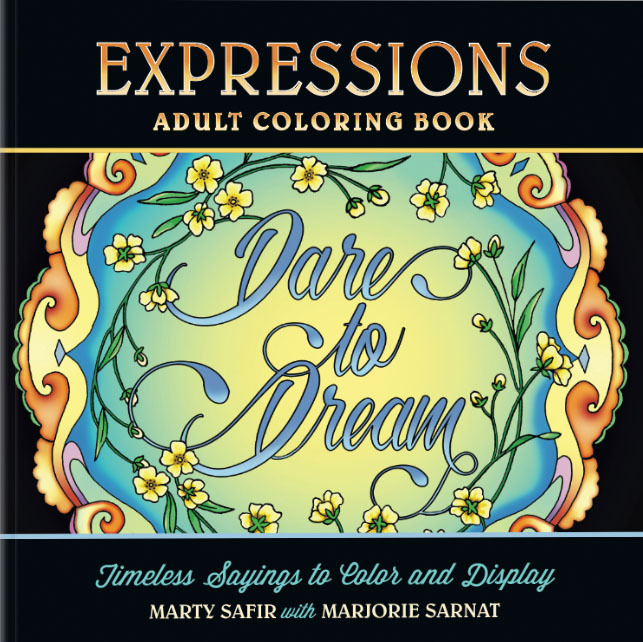 Done with my partner, Marty Safir. Below is only a sampling of the many illustrations.